438 pages | 400 Color Illus. 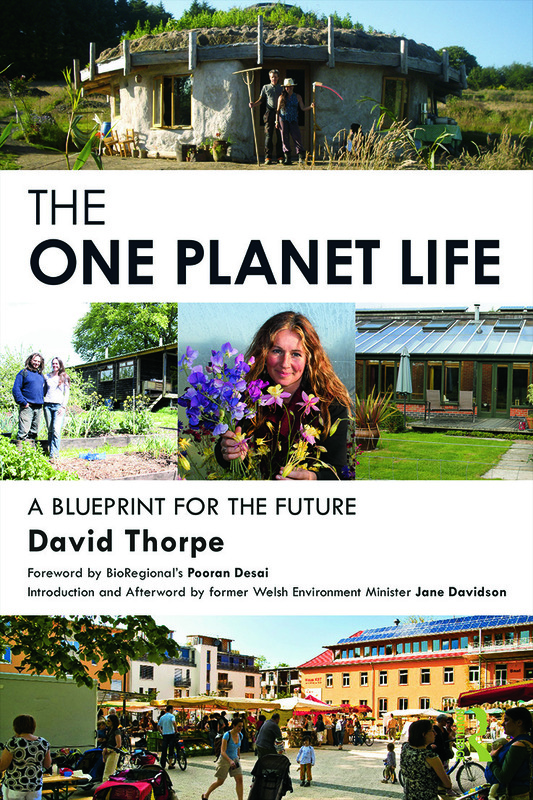 "David Thorpe’s new book is a timely reminder that we have only one planet to live on – and that this fact needs to be reflected how we live, and everything we do. But as well as making the irrefutable case for ‘one planet living’, it provides a wealth of practical detail on how to actually do it, and this is surely where the book’s greatest value lies for a new generation of one planet pioneers determined to lead the transition to new ways of living, that tread lightly upon the Earth and sustain her natural riches." – Oliver Tickell, editor, The Ecologist magazine and author of Kyoto2: How to Manage the Global Greenhouse. "David Thorpe outlines, in fastidious detail, the journey to a new life that is not only lower impact, but is also delightful and fun – and he is quite prepared to fully address the multiple bureaucratic and technical challenges and along the way. This book is an excellent and immensely practical step by step guide, illustrated with copious examples, for everyone ready to make that change." – George Marshall, founder of the Climate Outreach Information Network and author of Don’t Even Think About It: Why Our Brains Are Wired to Ignore Climate Change. "Over the last 30 years economists have had to reassess how improvements to human welfare are measured. Unfettered growth in household demands causes local and global problems. Measures such as the ecological footprint seek to assess the ‘planet’ consequences of our consumption activities. Practically what it means to live a ‘one-planet’ lifestyle is rarely considered in terms of the benefits and challenges, and this book is therefore a welcome reckoning. A key theme is the fact that maximising consumption activity should not be confused with maximising human welfare." - Professor Max Munday, Director of the Welsh Economy Research Unit, Cardiff Business School. David Thorpe is a writer and consultant on sustainability issues. He is a Special Consultant on Sustainable Cities Collective, the primary website for urban leaders globally; a founder and core group member of the One Planet Council; and the author of several books on sustainability, including: Energy Management in Buildings, Energy Management in Industry, Solar Technology and Sustainable Home Refurbishment, all in The Earthscan Expert Guide series. Prior to this he was the News Editor and Opinion Writer of the UK's Energy and Environmental Management magazine for 13 years. Before that he was director of publications at the Centre for Alternative Technology. For more information, see his website: www.davidthorpe.info.